Looking for something sublime yet cheap to fill these long, dark nights of impending winter? 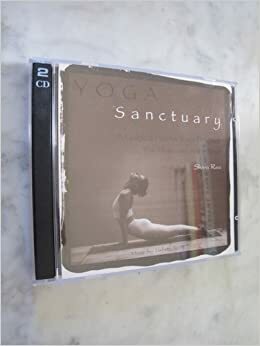 This yoga CD by Shiva Rea might very well become your next favorite activity. You can opt for her easy practice or the harder one, skip around simply from track to track, build your own routine based on how nimble or listless you’re feeling. Today some ab work, tomorrow some standing postures and balance poses, skip the flow, jump to the hip openers and forward bends– With so many options to choose from, it’s virtually a Kama Sutra for practicing solo.